Mitsubishi Fuso Canter is a series of compact trucks manufactured by the Japanese company Mitsubishi Fuso Truck and Bus Corporation in various modifications since 1963. For the first time, the name Canter was presented in March 1963 on light trucks T720. Which originated from the previous series “T710”, presented in 1960. These early models were almost entirely sold in Asia. The cars were equipped with four-cylinder 4DQ1 diesel engines of 2.0 l capacity of 68 hp. In 1964 the car was upgraded. There were four round headlights for the main light instead of two round headlights. In January 1968, Canter appeared second generation with a new cabin. In July 1970, the model was upgraded, and a new radiator grille appeared. The diesel engine was replaced by the new 4DR5 2.7 l with a power of 80 hp. The fourth generation of Canter has a wider cab and has a capacity up to 3 tons. 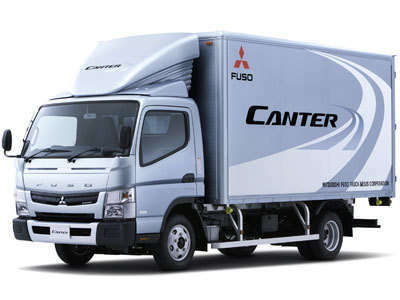 The range of Canter Japanese cars produced by the lifting capacity of 1.0-4.5 tons includes rear-wheel drive models FB, FC, FE and option FG (4×4). The lightest 1.5-ton Canter Guts model features an updated narrow cabin, and Canter’s export options have cabins of the old model. They use gasoline and diesel engines (2.8-4.2 liters, 94-130 hp), 5-speed manual gearboxes, or 4-speed, with an improved Inomat-II automatic switching system without a clutch pedal. In 2010, a new 8-th generation Canter model was introduced. This is the first upgraded generation that satisfies the new Japanese emission standards JP09. Moreover, NOx and PM emissions are 30% lower than those required by JP09 standards. In addition, all of the updated versions of Canter not only satisfy the fuel efficiency requirements for trucks (FES2015), but also exceed them by 2-7%. The new generation is equipped with a diesel 3.0L 4P10 with BlueTec® system, which combines the selective catalytic neutralization of the SCR and the DPF particulate filter, which is used for the first time in light trucks. New trucks are equipped with DUONIC gearboxes with dual-clutch couplings. The exterior and interior design have been updated, improvements have been made to the frame, suspension and brake system of the truck, which reduced the weight by 90 kg and increased the safety. 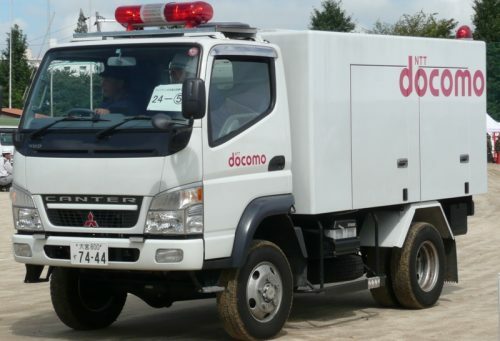 The new design truck was awarded the Good Design Award 2010. In the spring of 2011, the MFTBC began selling a new generation of Canter trucks in North America, which was presented at the NTEA Work Truck Show. North America has become the first country outside of Japan, where the new Canter will be marketed. 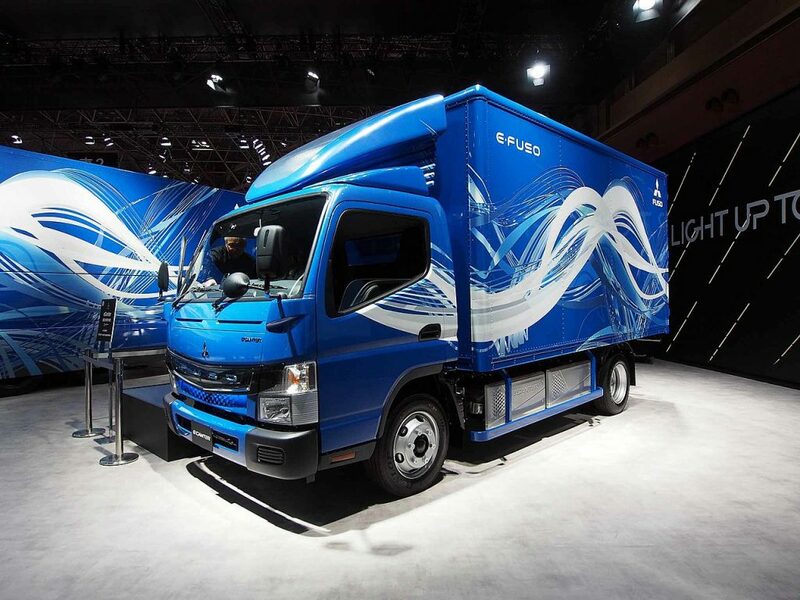 In September 2016, an electric 6-ton truck Mitsubishi Fuso eCanter debuted at the IAA Commercial Vehicle Show. The car is equipped with two rechargeable batteries with a total capacity of 48 kWh. The traction electric motor develops a power of 110 kW (150 hp. ), And the maximum torque reaches 650 Nm. The truck’s stock is about 100 km.